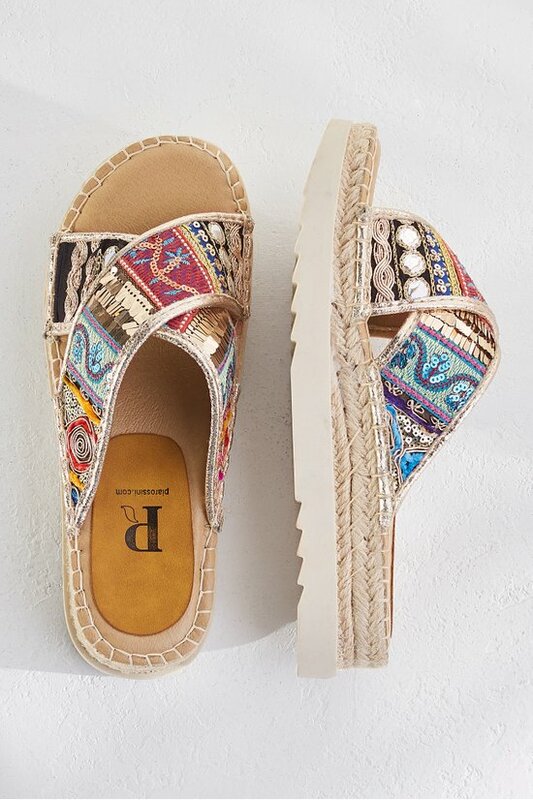 Let it shine, spring through summer, in these exotic sandals, artisan-crafted in a colorful mosaic of beading and sequins. A padded insole caresses feet and woven jute borders the outsole. 1-3/4" heel.